I'm willing to give this system a bit of time as I'm happy enough with my teams/cards, but I can totally understand why people are losing their *. I'm not interested in pointing fingers over who may or may not have bought coins when people create threads losing their, because you simply don't know. 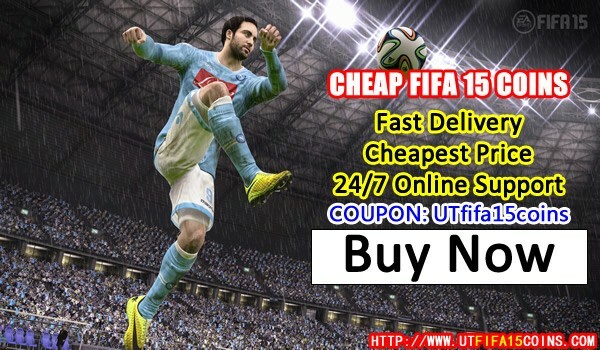 We UTfifa15coins is selling Fifa 15 Ultimate Team Coins, if you want to buy FIFA 15 Coins, you can contact us on our site UTfifa15coins.com. I wouldn't even blame people for buying coins towards the end, that's how ridiculous the market was. IF Wilshere going for about 300k fifa 15 coins, IF Szcesney 100k+, IF Jagielka 150k+ etc. I'll be disappointed if things don't pick up though. I think the fact that there are no Welbecks and Delphs on the market is pretty much the opposite of what the point of this system is, it's not supposed to force cards into extinction. What is most annoying to me is that the coin sellers remain top of the leader boards. Considering all the rhetoric pre-FIFA 15 about dealing with them there's very little that has been done to punish these "players" with the leader boards serving as a perfect identifier for those coin selling accounts. That's a big disappointment. Also the logistical difficulty for generations trading bugs me. Of course, things could be done behind the scenes and we won't really notice. However, considering the state of the leader boards and how easy it is to identify who is a legitimate player and who isn't, I'd say that's probably not the case. I guess they've decided to trial this new system out on a live market, I'm not convinced this method is a great idea but I can at least see the logistics behind that decision with the stability of future markets in mind. More convenient and efficient to buy fifa 15 coins, scan our QR code enter the mobile terminal.